You would need to have been living under a rock to have missed the fact that one of the country’s most well known and private chefs just lost his Michelin star. Unlike Oliver Dunne, who had been singing it from the highest rooftops and spent the last few months redesigning his restaurant and menu, Kevin Thornton was left in utter shock and bewilderment. We imagine the hardest part of the whole process is the unknown. Not knowing what trick you may have missed or what needs to be improved on to cut the mustard. 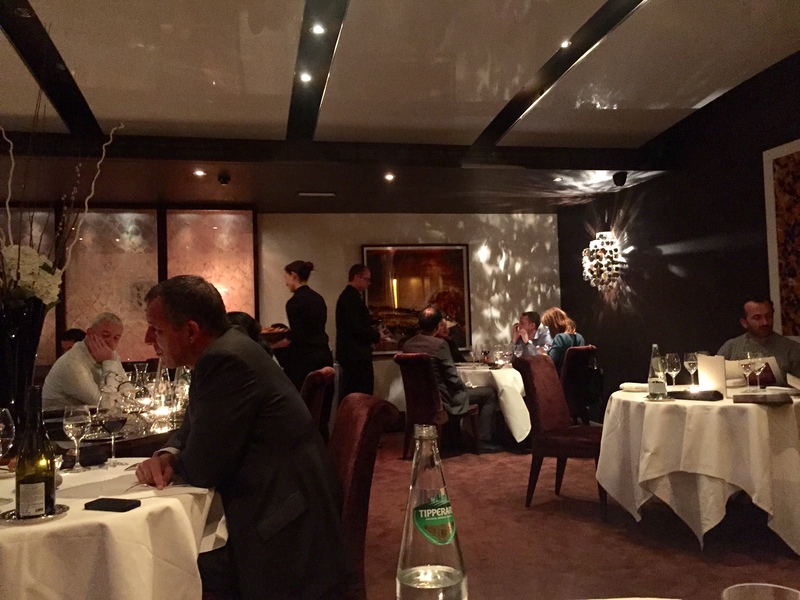 There has been much written in the last few weeks about the validity of Michelin, its secretive decision making process and how nearly every food writer in the land felt Thornton’s Restaurant was more than worthy of retaining the star. So what does a chef/restaurant do when this becomes a reality? In Kevin’s case you do what you always do and cook to the best of your ability, simply because it’s what you love to do. With all that said we decided what better way to celebrate one year since the conception of TheTaste, before our one year bash, than to check out Thornton’s and see for ourselves. As you walk up the stairs of the building you can’t help but notice the food photography adorning the walls, all of which were taken by Kevin Thornton himself, a testament to his passion for the land and his respect for each humble ingredient. The room itself has a luxurious and plush feel to it, with probably the most comforatble seating we have yet experienced. Each table is very well spaced out, lighting is low and relaxed and you have the view of the ever beautiful Stephen’s Green just outside the window. 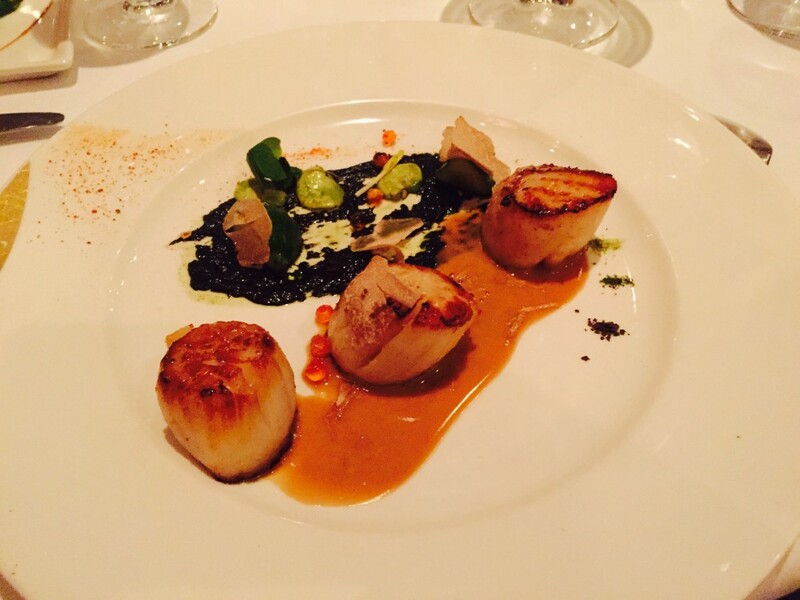 For many people they can find the thought of fine dining restaurants as stuffy or fear they will encounter a snobby attitude, this is probably the biggest barrier for somewhere like Thornton’s. Truth is you couldn’t be more wrong. If you are looking for somewhere to treat yourself, celebrate or indulge in an evening then Thornton’s should be on your radar. So many fantastic chefs earned their stripes in Thornton’s and nearly all still agree that Kevin has an innate ability to create something spectacular. Therefore expectation was high, we sat by the window and decided to order from the à la carte which is €75pp for three courses. While deciding, the most delicious bread basket arrived with a superb selection of home made treats including french onion and tomato and fennel breads. One of the highlights of the experience for us was without doubt the wine list, more importantly Thornton’s sommelier Tobias. So many restaurant sommeliers can exude an air of superiority and make the customer feel they need a degree in wine to hold their own or more importantly make a decision. Here you will find someone who has an infectious love of wine whether it be a €38 bottle or a €2000 bottle and someone who is likeable and engaging. At this stage he had our trust and we were more than happy to go with Tobias’ suggestion of a German Dautel Weissburgunder as a great match for the scallop starter and taking in to account our love for white burgundy styles, this was a seriously beautiful wine. So what about the food we hear you ask? Garden Beetroot Salad may not sound that exciting but this is where the magic happens in Thornton’s, out arrived a picture on a plate. Set on a plain white canvas, the colours from the purée, braised and jellied beets electrified the plate, subtle flavours of the beets and delicate edible petals worked perfectly together. As did the addition of Thornton’s take on a beet “Baby Guinness” which accompanied the dish. As huge fans of the humble beet it was inspiring to see just how inventive you can be. Our second starter was the Wild Atlantic Turbot. Having recently tasted a stunning turbot in James St.South we were excited to see what Thornton’s take on this would be. What arrived was a generous chunk of turbot in a salmon and mackerel broth on a bed of Letterfrack seaweed, topped off with a theatrical addition of some dried ice mixed with lemongrass and ginger broth gently poured over for a little show. Just before the main event we were treated to a sample of a very in season and expensive ingredient Blue Fin Tuna, which you will not find on many menus in the land. Prepared in two different ways; a sashimi with a little bit of wasabi and soya, and cute little tuna tartare with a poached egg on top, which was a very clever use of such a flavoursome fish. Mains include five varied options from swordfish to duck to a vegetarian option of a fruit vegetable mille-feuille which we were almost tempted to try. In the end a Roast Wicklow Lamb Loin proved too hard to resist. The perfect tender loin didn’t disappoint and it kept nice company with the wild garlic and thyme sauce. The real beauty however was the hay cooked belly, especially with the addition of the sublime dauphinoise potato which packed a delicious punch. A real Thornton’s touch was serving a minuscule terrine of the belly on a 400 year old bog oak which just added to the impression of how important sourcing as much as possible from the land, even down to the decoration, is to Kevin. For this we ordered a glass of red, which it turns out Tobias the sommelier had picked to celebrate his recent engagement. No ordinary red mind you, one for the real wine lover in all of us, a Tenuta San Guido Bolgheri Sassicaia 1994, with perfectly balanced tannins and a fine elegance. What a pairing! The second main was almost as impressive; three tremendous and well portioned Beara Peninsula Scallops with an interesting black kale purée, broad beans and and earthy autumn truffle. Simple yet perfect. Thinking this was a good as it got we ordered the Garden Raspberries for dessert. An artistic dish of strategically placed variants of the berry covered the plate. A fluffy and light puff pastry encased a modern take on creme patisserie with plump little berries acting as anchors for support, a tart quenelle of raspberry sorbet and two delightfully sweet shards of raspberry topped off this death row dessert. A little five star touch was the Petit Fours with chocolates delivered to the table in a wooden presentation box filled with aromatic coffee beans. We can genuinely say we were blown away with the creativity in the food we devoured in Thornton’s, more importantly we were blown away by the enthusiasm that, even in the face of their recent disappointment, has not waned in the slightest. Kevin, Muriel and the team have left a lasting memory of being the only place to go when ordinary is just not the order of the day. Michelin or no Michelin this is a Five Star Taste we highly recommend.